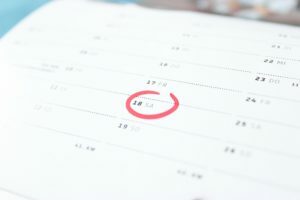 Home » Blog » When is the best time to buy a Medicare supplement plan? Deciding when to buy a Medicare supplemental insurance policy is a very important decision. If you wait until it’s too late you never be able to buy a Medigap plan if you have health issues. It is very important to be aware of when your enrollment period is for Medicare supplement insurance. This is not the same as your regular Medicare enrollment period, I know this all can be confusing, so I hope my explanation helps. The best possible time to buy a Medicare supplement plan if you are NEW to Medicare, (either turning 65 or enrolling into Medicare Part B for the first time) is during your Medigap open enrollment period. This period starts the 1st of the month you turn 65 and lasts for 6 months. For example; John turns 65 in April of 2016. His Medigap open enrollment period starts April 1st and lasts until September 1st. The reason why this the best time to purchase a Medicare supplement policy is because you have the freedom to buy ANY Medicare supplement plan regardless of your health. You can literally be on your deathbed and the insurance companies HAVE to sell you a plan, and they CANNOT increase the premium based on your health. If John had decided to wait until October to buy a supplement plan he would be subject to medical underwriting. For those people who are outside of their open enrollment for Medicare supplement insurance, they need to answer basic “yes” or “no” health questions to get approved for a plan. This only applies to the standardized plan letters (such as F, G, and N) and does not apply to Medicare Advantage as there are no health underwriting requirements with Medicare Advantage. If you currently have an employer plan and Medicare parts A and B then you have the choice of going through health underwriting to get a Plan G or N, or using your guarantee issue to get a Plan F.
If new to Medicare buy before or during your open enrollment which starts the month your turn 65 and lasts for 6 months. The best bet is to apply for a policy 2-3 months before your 65 birthday, that way you get the ID cards and policy in the mail before you go onto Medicare. If you are past your Medicare supplement enrollment period you can apply for a policy ANYTIME throughout the year but you will be subject to health underwriting. To discuss your health history with us, please contact us directly, toll-free at (800) 208-4974 or complete our quote request form. Does Medicare Cover Vision and Dental Benefits?